Polarbröd is Sweden’s third-largest bread maker, with bakeries at its headquarters in Älvsbyn and Omne, and at the aptly named Bredbyn in Northern Sweden. Its continued growth and success recently brought about the need to expand and rethink its warehousing, and Polarbröd decided to bring control of its warehousing in-house rather than continue with a third-party provider. With this in mind, they got in touch with Constructor to discuss maximising use of current space, and adding extra space while making storage and loading processes more efficient. Constructor’s response includes pallet racking and shelving, and cantilever storage above conveyor belts to maximise the use of available space. Constructor also added four more loading lanes to ensure greater flexibility and speed. To ensure the continuity of Polarbröd’s operations and a smooth handover, Constructor ensured all new construction and equipment was operationally ready before removing any aspect of the existing set-up. 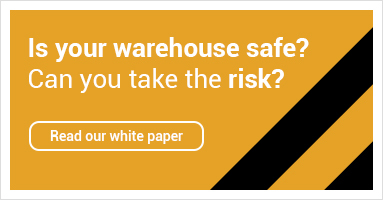 The new warehouse holds 870 pallet places in mobile pallet racking, and the improved warehouse building offers the space and flexibility to meet projected rises in productivity. The solution also removes the old ‘U-version’ that had uprights in front of the conveyor belts, which trucks would often collide with when loading. “Our collaboration with Constructor is all about working together to develop a solution that will work in practice, not just in theory. Their wide-ranging experience, and their eye for small but crucial details that affect real-life application means we now have a vastly improved warehousing system – and we know we can call on them whenever our needs change.” - Erik Enholm, Process Engineer, Polarbröd.